probably the first and only btb level I made. I dont understand this BTB hype. The original editor is very limited, and not using moving platforms/events isnt going back to basics, as even SMB1 had moving platforms and events. That said, this fits right along a SMB1 7-1 theme, with SMB3 graphics. The only thing I dont get is the cave music. But for what it is, its a nice level. Yogi_Bear wrote: I dont understand this BTB hype. The original editor is very limited, and not using moving platforms/events isnt going back to basics, as even SMB1 had moving platforms and events. BTB is some kind of movement started by a group of people where they break off from making nonlinear, layer/event heavy levels, and instead go "back to basics" (which is what BTB stands for) as in the classic Mario games. The guys that support the movement and are a part of it are known as "Marioheads" and if you disgraced them you would get called a "faker". I don't really know what exactly it involves, but that's what I know about it. Yogi_Bear wrote: The only thing I dont get is the cave music. But for what it is, its a nice level. 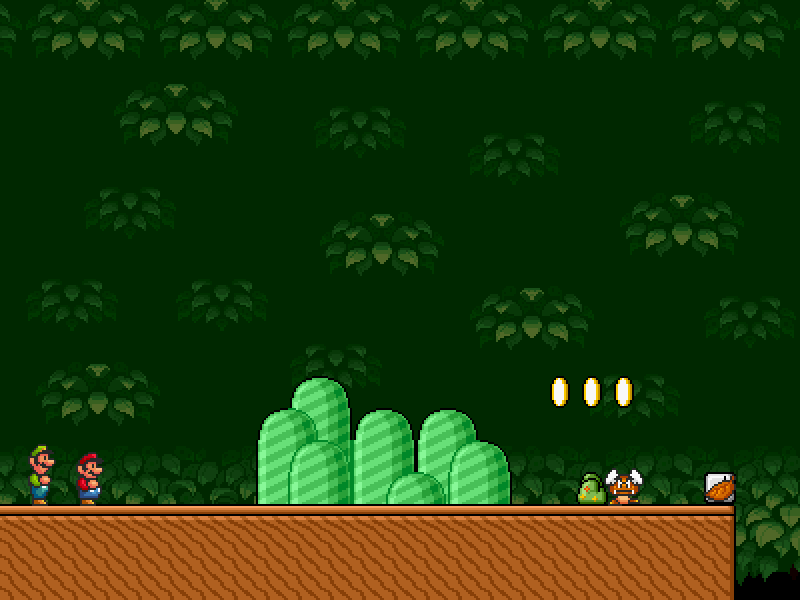 One of the forest levels in SMB3 world 8 used the cave music. I can guess that this level is based on that one. Level was fun btw, really reminded me of the glory days. The level design hooked me and kept me wondering what was coming next. Nice work! 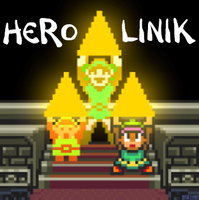 Linik wrote: BTB is some kind of movement started by a group of people where they break off from making nonlinear, layer/event heavy levels, and instead go "back to basics" (which is what BTB stands for) as in the classic Mario games. The guys that support the movement and are a part of it are known as "Marioheads" and if you disgraced them you would get called a "faker". I don't really know what exactly it involves, but that's what I know about it. Oh...well it still doesnt make any sense. Classic mario had tons of moving platforms and events. SMB3 1-4 comes to mind immediately, as does 5-5 or something where youre in the clouds and the screen moves around alot and theres moving clouds everywhere. Also, I forgot entirely about that level in SMB3 using cave music. oh well, the OP level is still not bad for what it is.